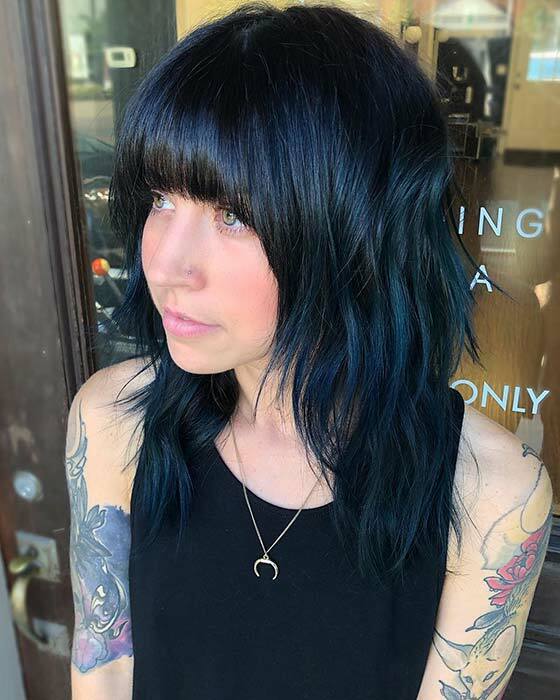 Blue black is a super stylish hair color. It is an unusual color that looks black but it has a blue tone, especially when in different lights. Celebrities like Rihanna and Katy Perry have rocked blue black too. We think that you will love this color, if you don’t already! 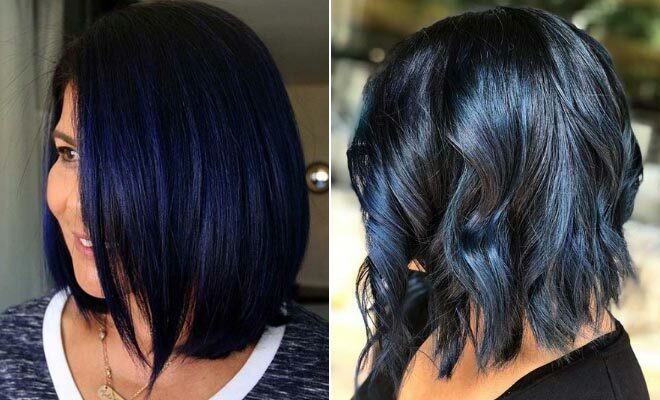 So, we have put together 23 of the most beautiful blue black hair color ideas. You will find dark hairstyles, stylish color blends and more. Take a look, you won’t be able to decide which one to try first! First up, we have this trendy blue, black hairstyle. The blue color used here is very dark and has a navy tone to it. It is a gorgeous color idea that will suit everyone. You can try a color like this on a similar hairstyle but this blue black will suit all hair lengths and styles. Looking for a glam hairstyle? Then this is for you. This blue black style is so glossy and gorgeous. The color has been described as blue black velvet and you can check out the products used on the page featured below. You can go for an ombre look like this with black at the top and then blue at the bottom, or just have all of the hair one shade. Want to completely transform your hair? Then choose a hairstyle like this one. 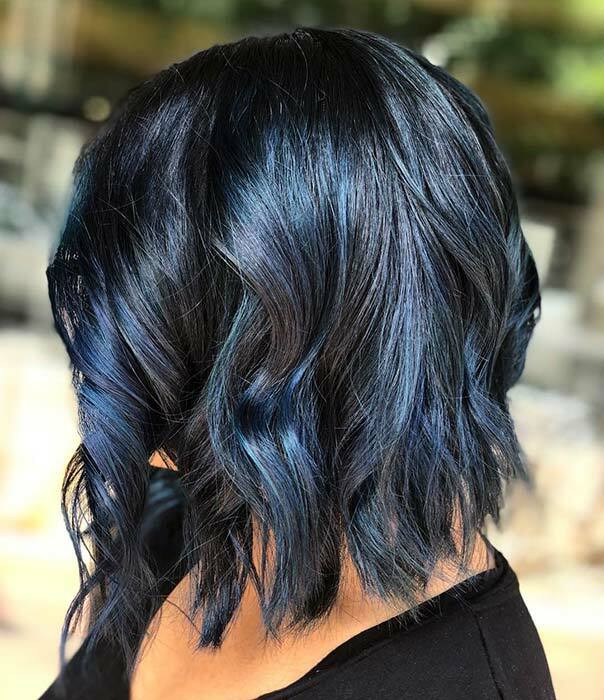 Here we have a blue black long bob. The lob is so cute and stylish and will suit everyone. This cut is a great choice for 2019. The bold blue black color was created with Royal Purple, Retro Blue and Black. You can see the products used on the page below. 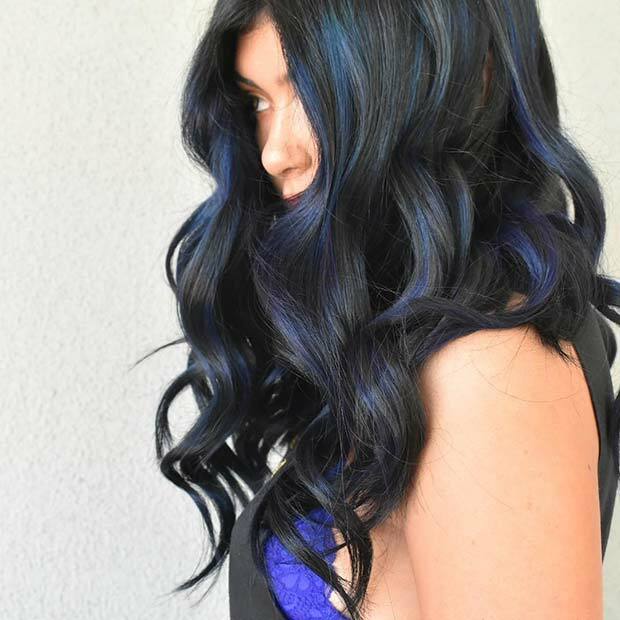 This next hair idea is one of our bolder blue black looks. The hairstyle features a trendy bob with grey shades, light blue and blue black tones, too. It is a hairstyle that combines many colors to create one trendy and unique look. You can recreate this or add more blue black. A color combo like this will work on long hair, too. Next, we have a gorgeous blue black look. 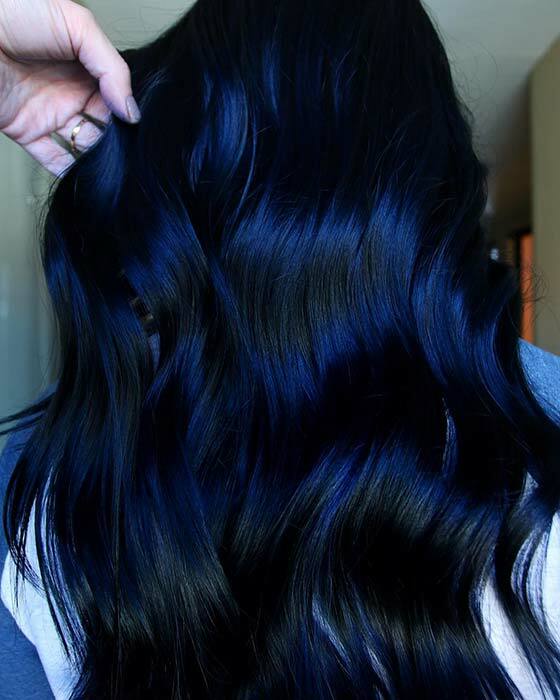 The hair has been described as nightfall and is a beautiful, dark blue black tone. It is a stunning color idea and it will suit everyone. You can view the shades used to create this trendy color on the page below. Our next hairstyle is quite subtle. The hair is black with inky, blue black highlights. 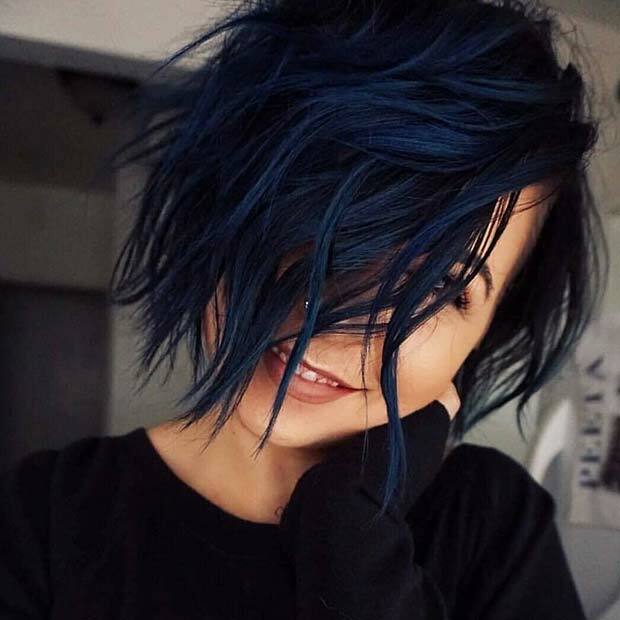 A hairstyle like this is perfect for the ladies who want try blue black but are worried about a dramatic change or for those who don’t their hair to be too bold. It is a stylish and low maintenance way to try the color. 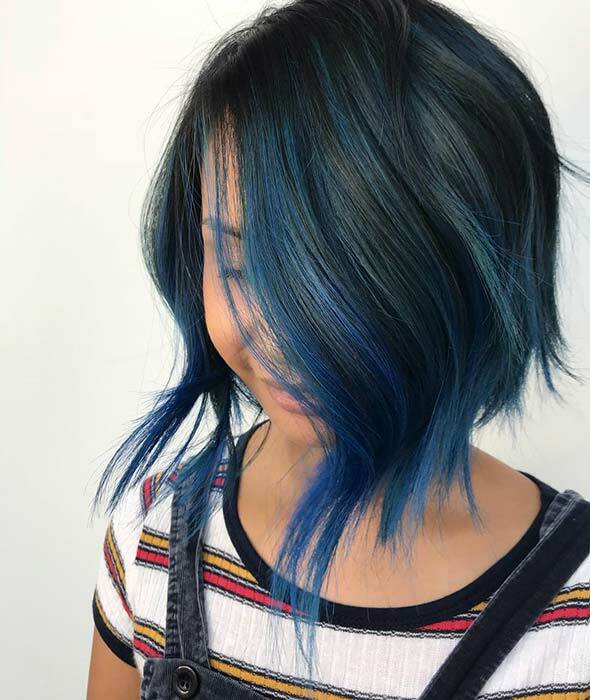 If you do want a bolder and more blue look, then check out this idea. The hair is blue black but the blue really shines through in the light. So, in lower light the hair will look darker and in brighter light the blue will be more visible. It is a trendy and gorgeous hair idea that we love. The color blend used is Neon Blue, Navy Blue and Royal Purple from SoColor Cult. Ombre is a super stylish color technique that is not going anywhere anytime soon. 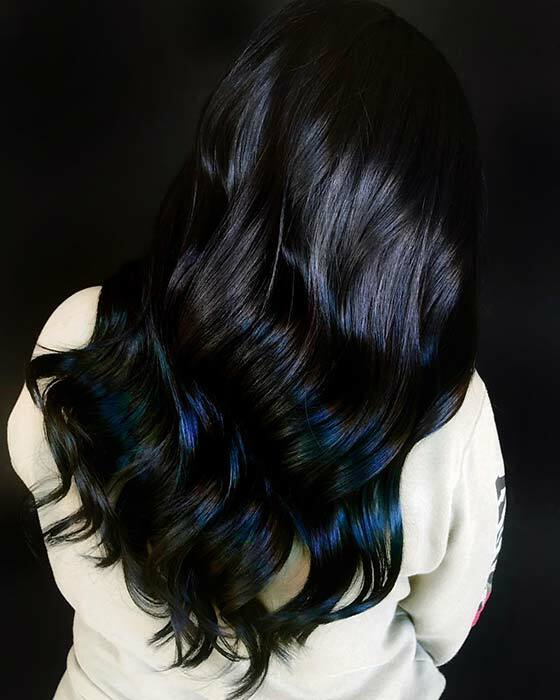 So, why not try blue black ombre?! Here is a trendy example. 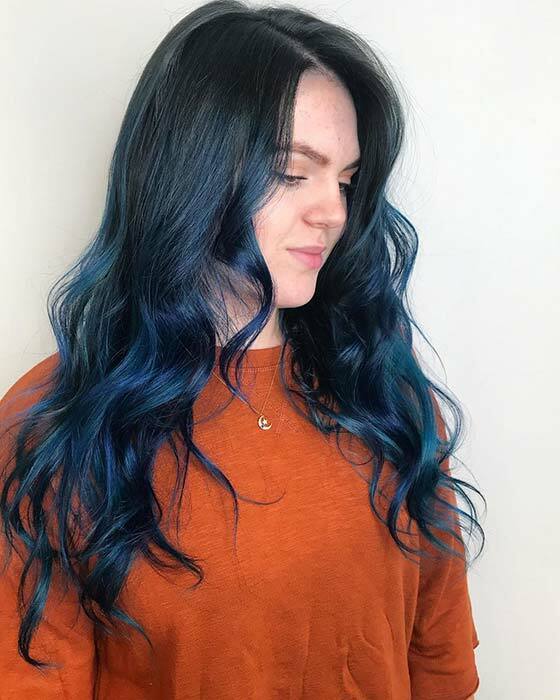 The hair starts off dark and then blends into a gorgeous blue black shade. 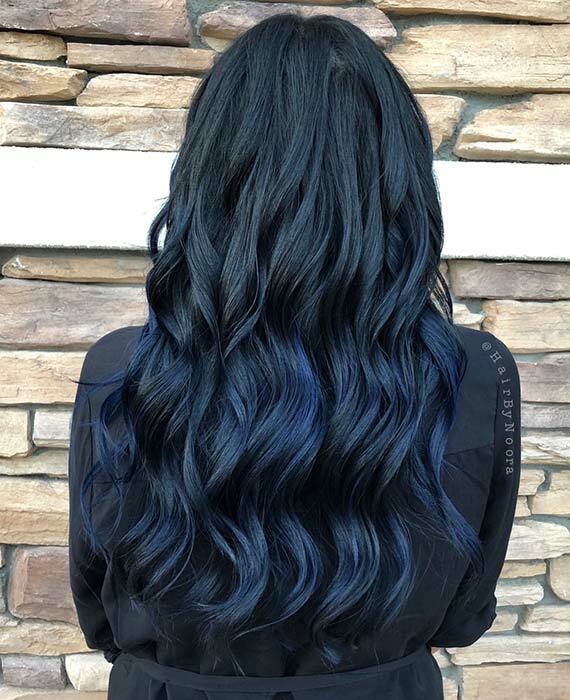 This is another great idea for the ladies who want to try blue black as the color will easily grow out if you decide that it is not for you. Next, we have a blue black look that has been described as Dark Denim. This is another style where the hair starts black and gradually turns into the blue black. It is a very subtle color change but it is blue enough to be noticed. 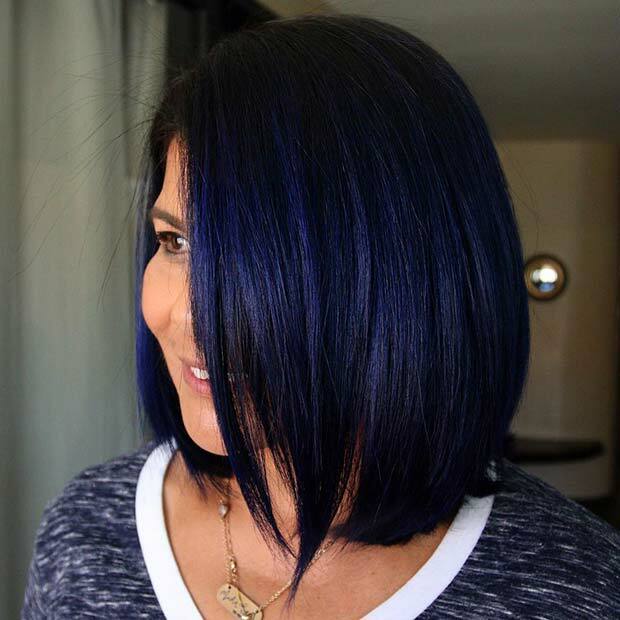 This is perfect for anyone who wants a subtle and stylish blue hairstyle. Looking for a trendy cut and a stylish color? Then this is for you. Here we have a medium length cut with a gorgeous fringe. The hair has also been colored in a subtle blue black color. This is an awesome style that will transform your hair. We love this idea!